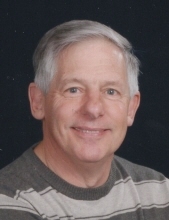 Wayne L. Shaffer, age 71, of rural Plymouth, passed away peacefully at home on Saturday evening (February 2, 2019) after a courageous battle with cancer. He was born in Manitowoc, WI, on June 4, 1947, son of the Elaine (Schadewald) and the late Kenneth Shaffer. Wayne grew up in Branch, WI where he attended Branch grade schools. He graduated from Lincoln High School in Manitowoc in 1965, and following graduation his family moved to rural Plymouth. He proudly served his country in the United States Navy on the USS St. Paul from Oct. 1966-Oct. 1968 during the Vietnam War. On April 11, 1970, he married Jean Miske at St. Thomas Lutheran Church in Waldo. They lived a short time in Glenbeulah before moving to rural Plymouth. Wayne worked for Gilson/Lawnboy/Toro in maintenance for over 45 years. He was a member of the Toro Quarter Century Club and retired in 2011. He was a member of St. John Lutheran Church in Plymouth and enjoyed volunteering at the Tree of Life Retreat. He was also a member of the Glenbeulah American Legion Post #484 for 50 years. Wayne and Jean enjoyed travelling by car, air, and sea to various historic sites throughout the U.S. The most memorable trips were: an Alaskan Cruise, their trip to Hawaii, and a cruise through the Panama Canal. He was always building something in his workshop. Throughout the years he restored many Wheelhorse Tractors. In the summer, time was spent at the various steam engine shows in Wisconsin where he displayed his restored tractors. Wayne took great pride in maintaining his property by: working in the yard, nurturing the pine trees, and enjoying all the land had to offer. Survivors include: Loving wife of 48 years: Jean; Daughter: Jennifer (Gene) Smithers of Tomball, TX; Son: Chris Shaffer of Oak Creek, WI; Grandchildren: Hannah and Ethan Shaffer; Mother: Elaine Shaffer of Plymouth; Sisters: Gail (James) Wagner of Plymouth and Jill Shaffer (Michael Plonske) of Appleton; Brother: David (Susan) Shaffer of Plymouth; Sisters-in-law: Laura Shaffer of Madison and Lavern Tibbs of Plymouth; and Brother-in-law: Raymond (Lucille) Miske of Adell. He is also survived by nieces, nephews, cousins, other relatives and friends. Wayne was preceded in death by: His father: Kenneth Shaffer; Brother: Gary Shaffer; Sister-in-law: Donna Shaffer; and Brother-in-law: Tommie Tibbs. Funeral Services will be held on Wednesday (February 6, 2019) at 6:00 P.M. at the Suchon Funeral Home in Plymouth. Rev. Nathan Meador, Pastor of St. John Lutheran Church will officiate. Entombment will be in Greenlawn Memorial Park in the Town of Sheboygan. Visitation will take place at the Suchon Funeral Home on Wednesday (Feb. 6) from 4:00 P.M. until the time of services. In lieu of flowers, a memorial fund is being established in Wayne’s name. Special thanks to Dr. Kumar and staff at VLCC; Dr. Hari and team at Froedtert, and all the other doctors and staff that cared for Wayne the last years. Also thanks to the Sharon S. Richardson Community Hospice staff and Rev. Nathan Meador and Rev. John Schultz. To send flowers or a remembrance gift to the family of Wayne L. Shaffer, please visit our Tribute Store. "Email Address" would like to share the life celebration of Wayne L. Shaffer. Click on the "link" to go to share a favorite memory or leave a condolence message for the family.